Something to look forward to: If you have ever wanted to play a top-quality first-person RPG like Skyrim on your mobile device, your wish is about to come true. Bethesda will be releasing an Elder Scrolls game on iOS and Android in just a few months. Todd Howard just unveiled a game that was so secret he couldn’t even tell his son about it. The Elder Scrolls: Blades will be hitting mobile devices this fall. Just because the next TES game is for iOS and Android, there is no reason to be disappointed. For one thing, iOS and Android are only the beginning. Howard assured the crowd that Blades would be coming to PC, consoles, and VR platforms as well — it’s just going to take a little more time. Not only that, Bethesda is designing it for cross-platform play. So someone playing on a phone could play against someone else playing in VR, said Howard. Presumably, during the interim iPhone users will also be able to play against their Android friends, but he didn’t explicitly confirm this. Another reason not to be disappointed in the announcement is that the game looks and plays great on mobile. Blades has all the quality you would expect from a standard Elder Scrolls game. There are both hand-crafted and procedurally-generated dungeons. The graphics are of console quality. The touch controls are intuitive and responsive. There are three different play modes. “Abyss” is a survival mode where players battle enemies in an endless dungeon. “Arena” is just as it sounds — a multiplayer PVP mode. Finally, “Town” is the single-player campaign which features the typical roleplaying and story elements you would expect from an Elder Scrolls game, but also has town building aspects to it. The premise is you assume the role of a Blade, “the Empire’s top agents.” After finding your hometown destroyed, you decide to rebuild it. As you restore the town, you unlock new NPCs and quests. There are a wide variety of customization and upgrade options for your city to make it unique, and players will be able to visit their friends’ towns. The game can be played in landscape mode using dual sticks or tap-to-move. Blades also features a portrait mode, which Howard jokingly referred to as “meeting mode” since you could play it one-handed during a meeting and nobody would ever know. The final reason not to be disappointed in the game is that it will be free. 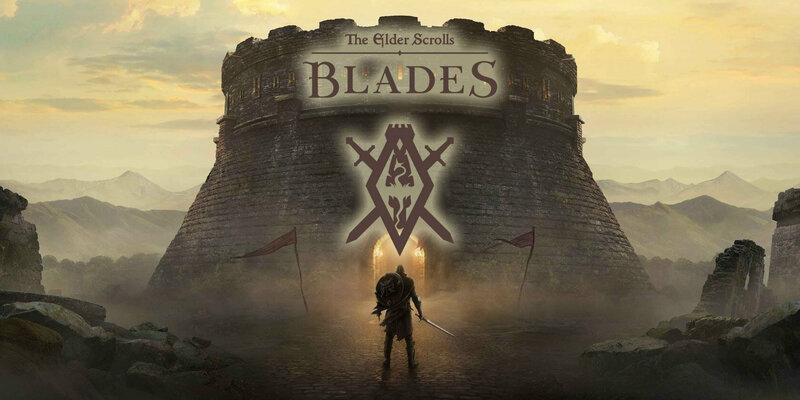 The Elder Scrolls: Blades is available for pre-order now. The release date on the Apple App Store is September 1, 2018, but that might be a placeholder as Howard just mentioned that it was coming this fall. So if you have been itching for a Skyrim-like experience on your phone or tablet, you’ll be seeing a top-quality one this fall. If you are really anxious, you can sign up for early access through the PlayBlades website. If you’d rather play on another platform, you’ll just have to wait a bit longer. If you are waiting for The Elder Scrolls VI, well that's coming too, so quit whining.